Ike had another really great over night stay at the vet's office for boarding. We like to call it the hotel. Quinn: Where Casey and Chandler, Mama? 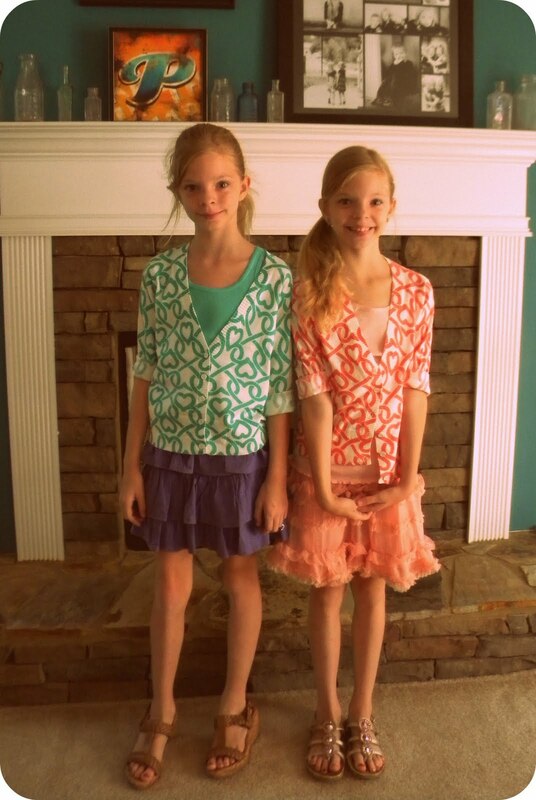 Me: They went to stay at Meme and Pop's house this weekend so that they could go back to school shopping and have a girly weekend. They're going to do lots of girly things, and you don't want to do girly things, do you? Quinn: No, I can't do girly things. I not a girl yet. I just let that one go. I'm pretty sure the trainer doesn't want to see that picture. Its so yummy though...and from several weeks ago - our anniversary weekend. And its kind of painful for me to look at right now because I'm pretty sure that I could inhale the whole plate. 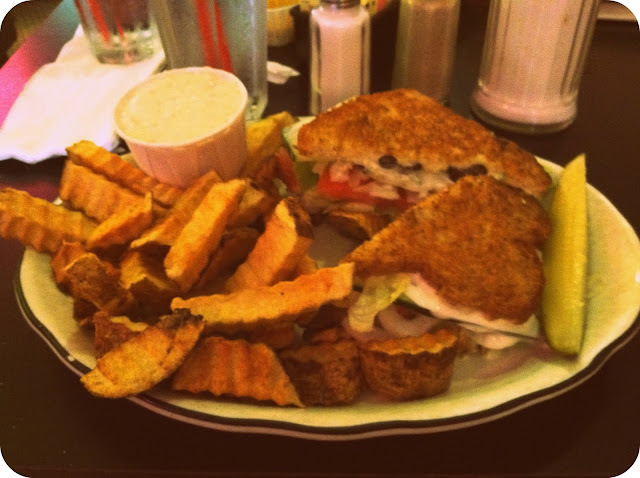 Its the veggie melt at the Grill in downtown Athens, with a side of fries and feta. Its a super happy food place for me. After dinner we went for a short walk on campus. 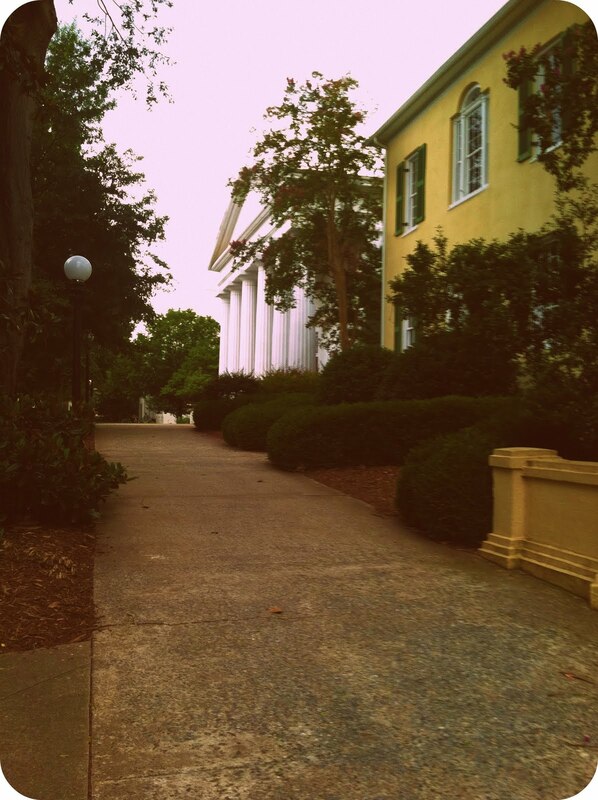 That white building with the columns? That's the chapel that we got married in. Beautiful. ...my chickadees getting ready for church a couple of weekends ago. Chandler is really not that much taller than Casey. If you look closely you can see that she has on those blasted wedge sandals. I bought her a new pair of flat sandals the other day and made her trade me the wedges for them. Ugh. Here's Bikey, home from the hotel today. And he can't seem to keep his eyes open. It has been nap time allllllll day long. beautiful girls! And I loved the "I'm not a girl yet" comment. funnnnny!